Established in 1966 Ransburg Scout Reservation was constructed to serve the scouts of the then Central Indiana Council (now Crossroads of America Council), but today scouts from all over the world attend one of our 9 weeks of summer camp. We are nestled within Hoosier National Forest on the banks of beautiful Lake Monroe not far from Bloomington, Indiana. We offer a diverse set of programs, state of the art facilities, and a dedicated staff committed to outstanding service to Scouts and Scouters. It is the mission of Ransburg Scout Reservation to foster the Scout Oath and Law in both scouts and scouters by offering a fun, safe, inclusive, positive, memorable, and challenging summer camp experience. Nestled in Hoosier National Forest, Ransburg Scout Reservation is located on the beautiful Monroe Reservoir near Bloomington, Indiana. We continue to be the premier Scout camp in the midwest because of our diverse programs, state of the art facilities, excellent camp staff, and our commitment to outstanding service to Scouts and leaders. We know that there are many great camps to choose from and are very happy that Ransburg Scout Reservation is your choice. We hope to serve you to the best of our ability and want your camp experience to be outstanding for both you and your Scouts. If you have any questions or concerns please do not hesitate to contact us and we will respond as best we can. Thank you in advance for placing your trust in Ransburg Scout Reservation. We are eager to serve and hope this guide will assist you in making your plans. and it is as true today as it was almost 50 years go. 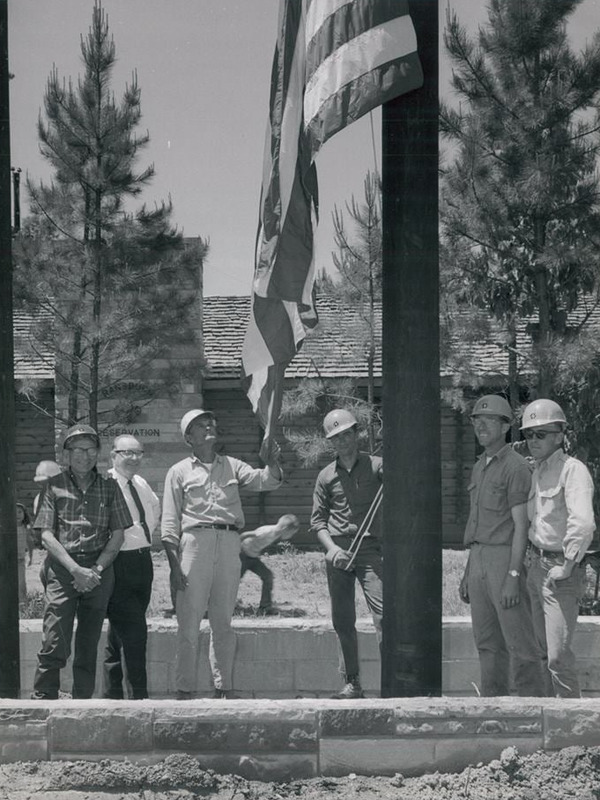 As deeply rooted in the heart of each staff member as it was in the men who helped bring the camp to life. Ransburg Scout Reservation was constructed to serve the scouts of the then Central Indiana Council (now Crossroads of America Council), but today scouts from all over the world attend one of our nine weeks of summer camp. Reservations for Crossroads of America Council troops begin the first business day of May the year prior to camp. Other councils can begin making reservations June 2 of the year prior to the summer they plan to attend.